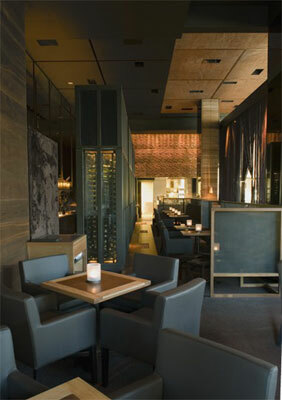 The young sibling of Neil Perry and Trish Richard�s Rockpool in Sydney this Bar and Grill in Melbourne, within the Crown Complex in the Southbank centre, offers similarly high calibre neo-Australian cuisine in a somewhat more casual environment. The driving philosophy for the build of Rockpool Bar & Grill was �to create a great dining experience, a fusion of the Rockpool ethos and a classic North American steakhouse, with reference made to the grand brasseries of Paris such as La Coupole and Le Dome�. A sophisticated and modern dining room is awash with natural colours generating a warm and contemporary ambience. Food centres around meat dishes with heavy emphasis on beef, all done on a wood-fire grill. Causing quite a stir amongst Melbourne�s social scene, Rockpool bar and grill seems set to join its� Sydney sister venture into the annals of Australian gastronomic excellence.